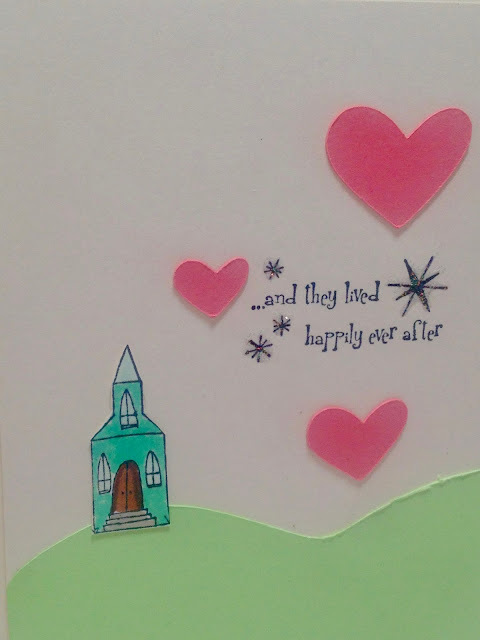 Amy's Creative Pursuits: "...and they lived happily ever after"
My husband and I got invited to yet another wedding. And no, we did not go because it was too close to the holidays and in Florida. It was right when that frigid cold hit the east coast too! I felt so bad for the couple. They planned a dream destination wedding, and then the area was hit with record low temperatures. Oh well, that's the thing with weddings...you can plan and try to control everything but one thing you can't control is the weather. Anyway, I was in the mood to make a quirky, fun card instead of my more formal wedding cards I usually make, and this is what I came up with. I used a $1.00 stamp from the dollar bins in a fabric and craft store. I stamped the church first, cut it out, and glued it to vanilla card stock. 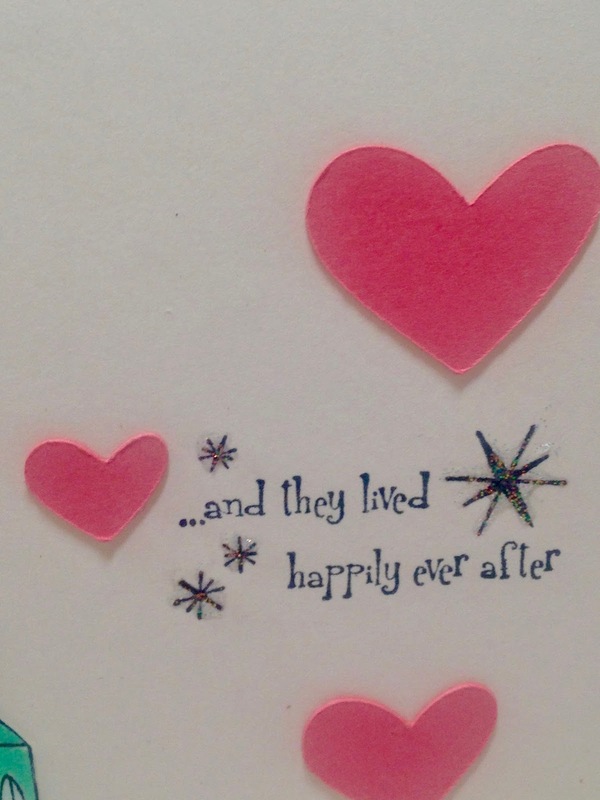 The sentiment was stamped directly onto the card stock. I cut three different heart shapes out of pink card stock using my Circuit Expression. I put Stickles on the stars in the sentiment. I hand cut out of green card stock a curvy shape to create a grassy hillside and then glued it to the card. This is really cute, love the colors and stamp combination! Simply adorable! It's the perfect card for a wedding! Thanks for playing along with CASology this week! 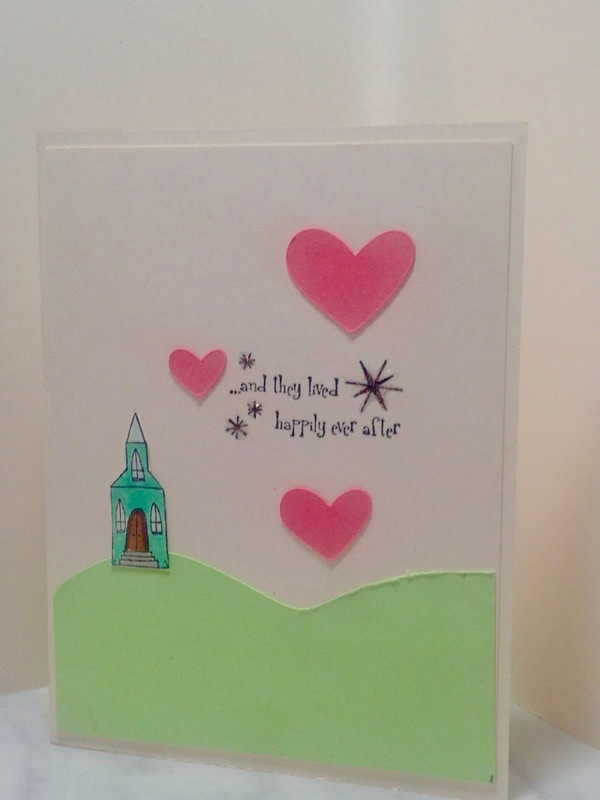 Love this beautiful simple card! 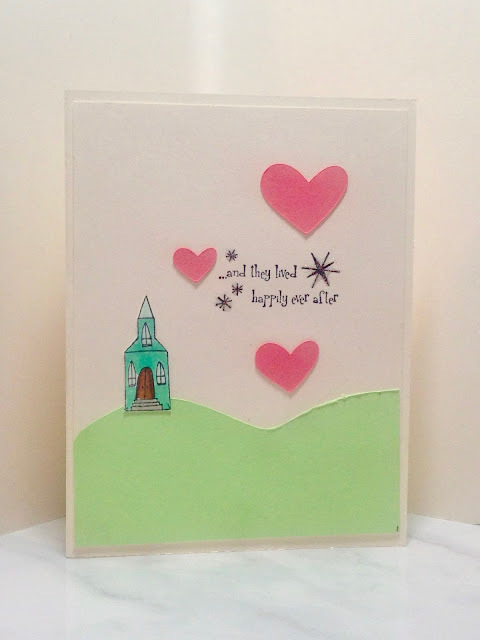 Thanks for sharing with us at the Handmade Card link party!